What's The Deal With Koopas? 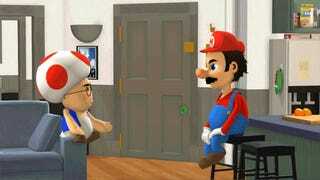 What would happen if you mashed up Mario and Seinfeld? Well, something like this, probably. 1. Who does Princess Peach think is spongeworthy? 2. Did Toad really kill Birdo with toxic glue attached to wedding invitations? 3. Is Luigi a racist, or did he just speak out of turn at that comedy club? Hey, it's no Seinfeld 2000, but it's a damn sight better than Kong Your Enthusiasm. That show just makes me uncomfortable.